FIFA have said a potential joint bid from North and South Korea remains a possibility for the 2023 Women’s World Cup. All nine Football Federations which showed an interest last month met Tuesday’s deadline to register. According to FIFA they include South Korea “expressing interest in a joint bid” with neighbouring North Korea. FIFA originally approached South Korea with the idea. 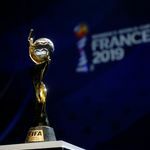 The nine member associations, a record, including recent men’s World Cup hosts Brazil and South Africa, must submit formal bid plans by October 4. FIFA’s bidding process includes “a concrete commitment to sustainability and human rights”.